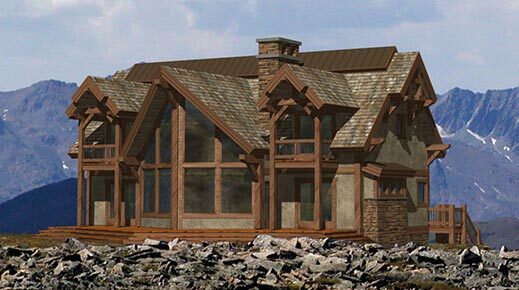 Traditional log home design is enhanced with the addition of a glass prow lined with two-story high log posts. 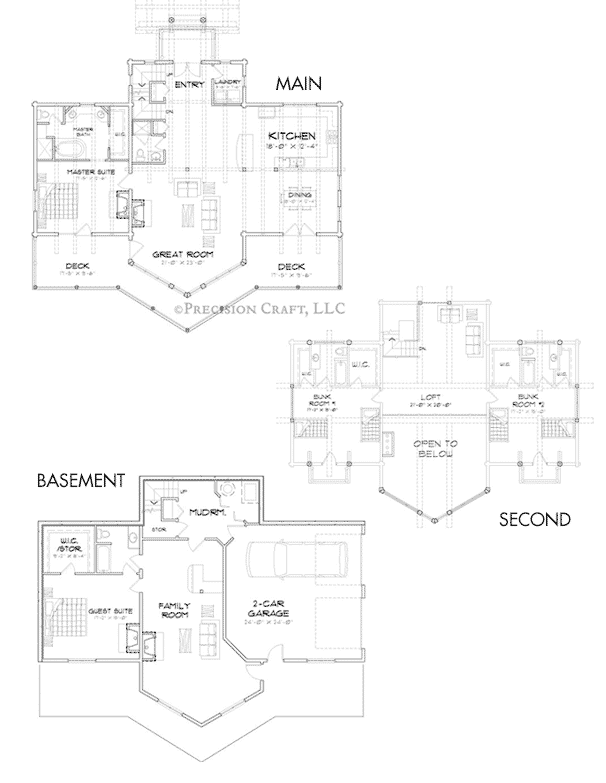 The Beartooth floor plan concept features three bedrooms, all with access to an outdoor living area. 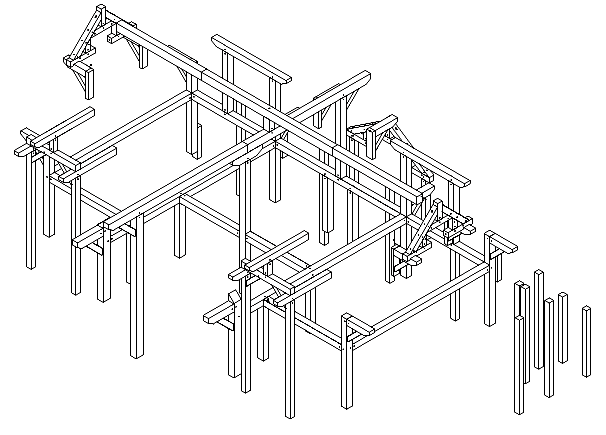 Expanding on the basic layout of the original, clients worked with M.T.N to alter the structure into a timber frame design, while adding a basement. The basement features a split garage with a rec room in between. 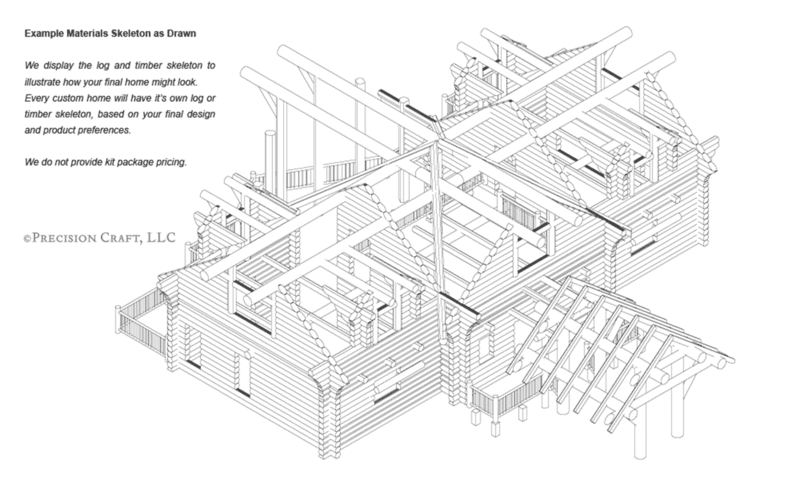 Redesigned as a timber frame home with horizontal wood siding, this modification increased in size when a basement and an in-law apartment were added to the layout. 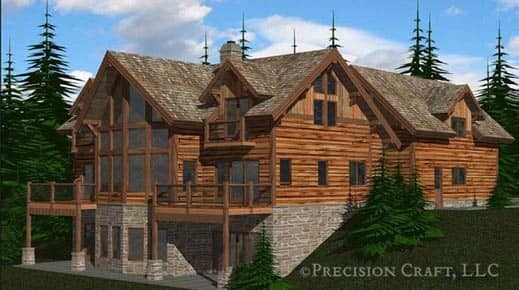 Clients chose a square milled log instead of the originally-conceived round log. 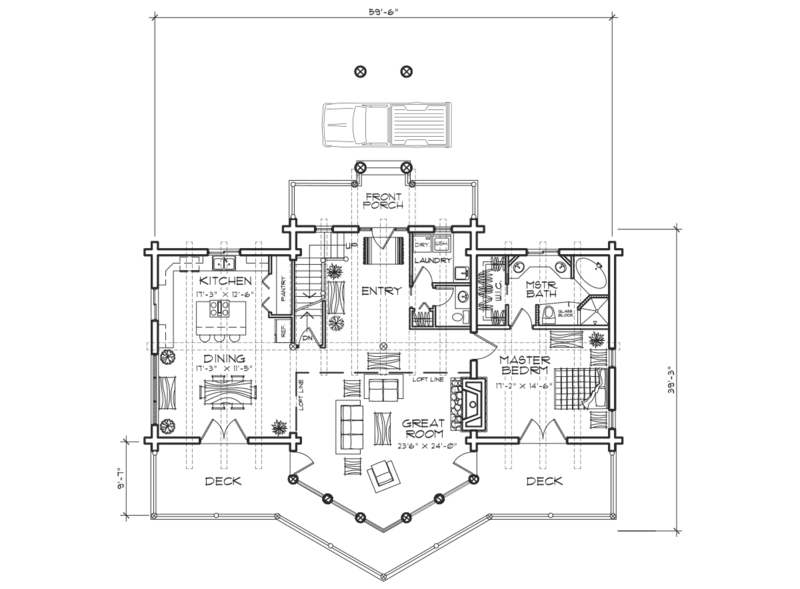 They also mirrored the floor plan and added a basement which includes a 2-car garage. looking for a plan with a garage? 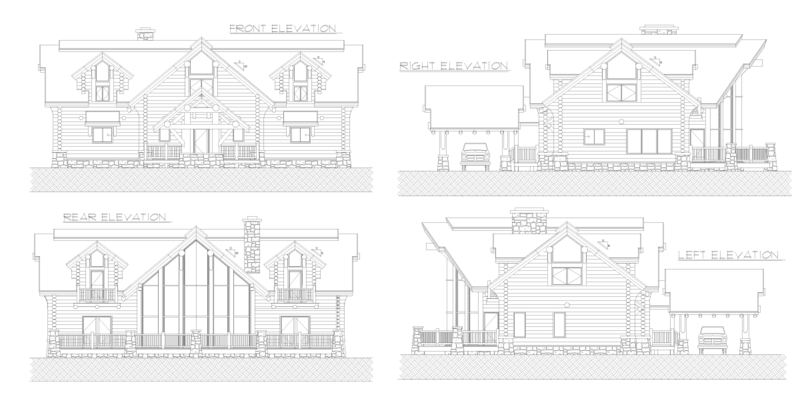 Some of our floor plan concepts show a garage while others do not. 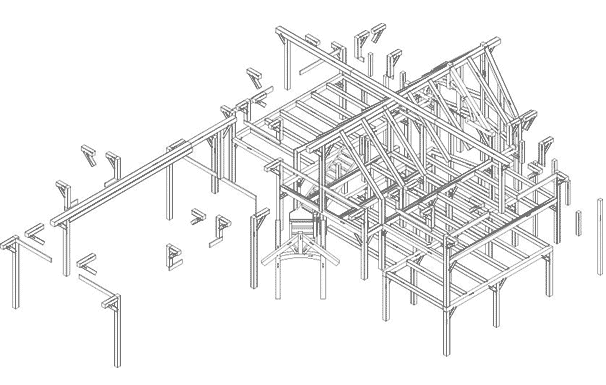 If you find a plan that you like and want to add a garage, we can do that. 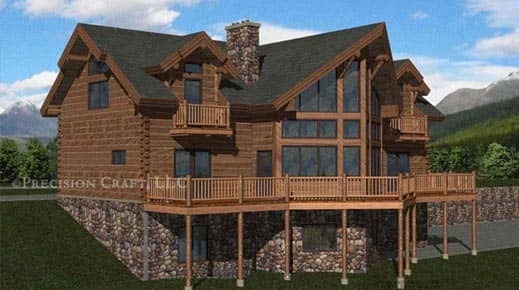 Adding a garage to your log home plan is just one of the many modifications M.T.N Design can make during the design process.